Of course, we have been saying, all week, that with so many anniversaries this weekend, (the Gettysburg address, the Kennedy assassination, Benjamin Britten’s centenary and the fiftieth anniversary of some weirdo scientific fellow who flew through time and space in a police phone box) the editors would be mad to give us a numerical. What good sense to step out of the straitjacket and honour or commemorate at least one of those! The preamble told us fairly clearly which of those we were celebrating but we were a long and winding road from our destination in this journey to the centre. At first, this involved cold-solving, and we are never very good at that. 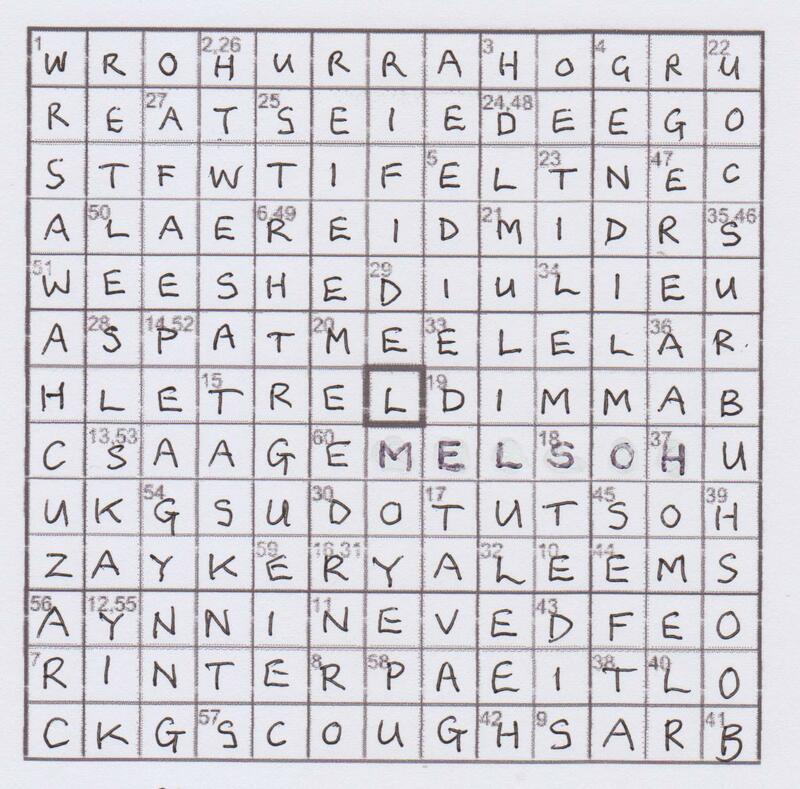 The only gift was that, when we had a few clues solved, and some were generous, we had the length, first and last letters of the adjacent ones. However, the ‘winding’ aspect of the journeys flummoxed us in a few cases – even my very last clue, where I needed to insert EMOTED in order to get to the centre, but had already placed the I of SLID in the second E cell – so easy to go wrong. It was fun though! Fun? As usual, I gave a speedy troll through the clues to check that Ilver was still a member of the Listener Setters’ Imbibing Association and he just qualified, with his ‘Fermented juice on French afternoon (4)’ SUR + A and, later on, ‘Research frothy ale and decide again (6)’ RES + ALE* giving RESEAL. I have seen him being far more discerning about his choice of beverage (well, we are part of a team of setters) but I imagine, on this occasion, the need to find an O in the fifteenth of his 26 left-over clues made him descend the path of choosing ale with far too big a head on it. Such is the downside of compiling! 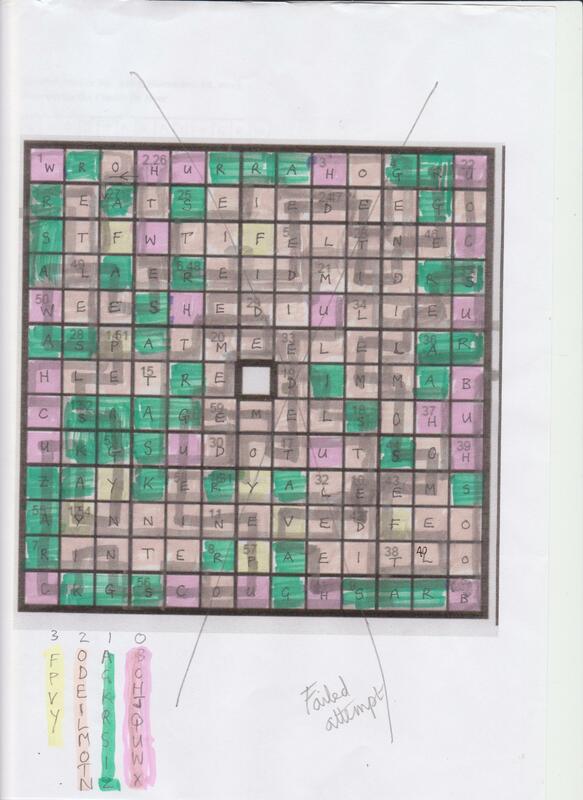 In truth, with that constraint, his clues were of the usual high Ilver standing and, for once, generous on the whole so our grid was filled after a few hours of flailing, with the task becoming far easier when only the fourth journey was left to complete and a number of cells were left vacant, clearly indicating the route. 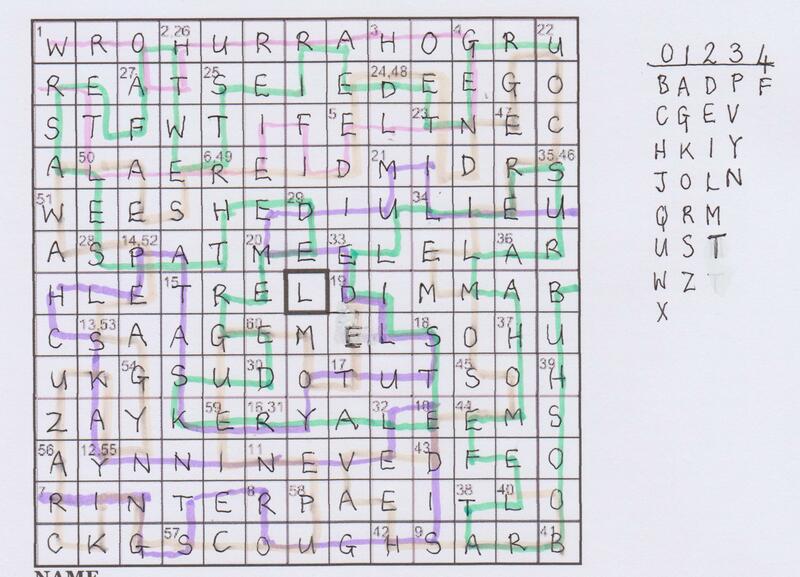 What’s more, the message hidden in the first 34 clues was emerging: COUNT A LETTER IN EACH OF REMAINING CLUES. OK, time for a confession. Rather a long time ago, we test-solved this puzzle. Friends say to me ‘No doubt you have done this already and you’ll be sitting like a Cheshire cat watching us struggle’. Well, this is perhaps the place to disillusion them. First about a test-solve: there is often an immense difference between the original creation and the one that goes off to the Editors. There is then another time-shift to the polished product that appears one, two or even five years later. So what changed? Well, that instruction about how to complete this was nowhere near so clear in the original version (and there was a miscount in how many sides of one of the letters had to be adjacently coloured) and I thought it might be amusing to insert here what I produced on my first attempt to suss out what was going on. It is perhaps better to relegate that one to the bin! 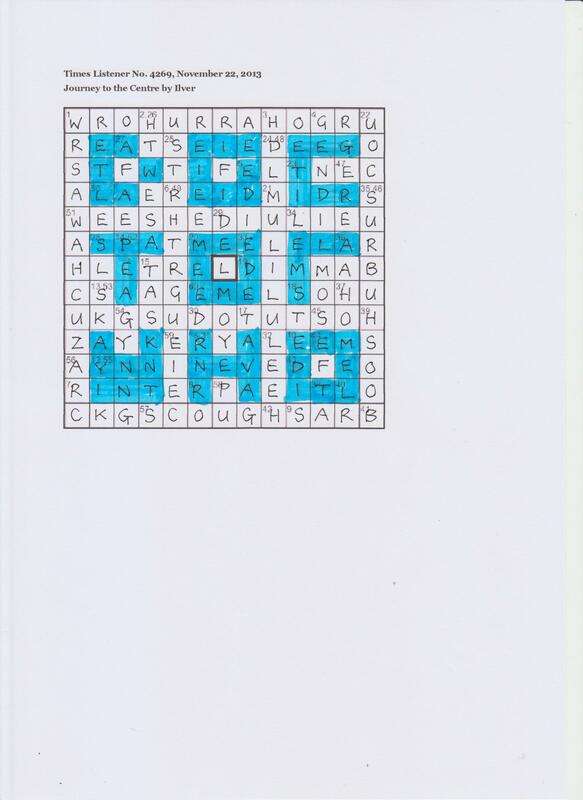 I had realized that there were 26 remaining clues and that I needed to count the frequency, for example, of G in the G clue, or Y in the Y clue and somehow apply that to the letters in the grid, but even that led to more than the usual Numpty head scratch. Secondly, clues change, too becoming, on the whole, far easier, and this time, the changes made a slight difference to the instruction. Anyone who thinks ‘The Editors must have made a mistake’ (as I occasionally hear) needs to submit a crossword and experience the detailed to-and-fro dealings of compiler and editors that produce what we finally see. All that to say that vetters and test-solvers – and there are two or three, probably, for almost every submission before it even reaches the Editors, are not really being privileged to get an early glance – they have to re-solve anyway when the puzzle appears. Back to the point! Fortunately, once the penny had dropped and I realized that some graphic depiction of the Tardis was not going to emerge from the grid, I was able to be a little more rational in my shading of letters, beginning with those around that centre cell. The device became clear, as did DOCTOR WHO. What was left to do? We needed to understand how putting an L in the centre cell to reflect the fiftieth anniversary was ‘thus completing a representation of the transport in that row’. All setters have to occasionally resort to that crosswordese use of EM and EN as ‘spaces’ and there was EM surrounding T and REL DIM. That, it seems, says ‘Time and relative dimension in space’ which gives TARDIS (Wow!). Dare I admit, that I don’t know much about the Doctor Who series but I’m happy to go with that. What is left to do? Congratulate Ilver on an astonishing compilation. I have seen what must be hundreds of hours of work that have gone into that polished production. Quite something! This entry was posted on 13 December 2013 at 5:05 pm	and is filed under Solving Blogs. Tagged: Dr Who, Ilver, Journey to the Centre. You can follow any responses to this entry through the RSS 2.0 feed. You can leave a response, or trackback from your own site. Andrew Gillespie-Smith promised a setter’s blog – I assumed it would be posted here – has it appeared elsewhere?